Located halfway between San Francisco and California, San Simeon is a small, quiet town that could offer you the ideal weekend vacation location. If you live in either city, it only takes about five hours to drive out to San Simeon. With a Friday evening drive, or an early start on Saturday, you’re pretty much set for a long, relaxing weekend. Here are some fun things to check out while you’re in San Simeon. Of course, we have to begin with this palatial castle, one of San Francisco’s great American landmarks. 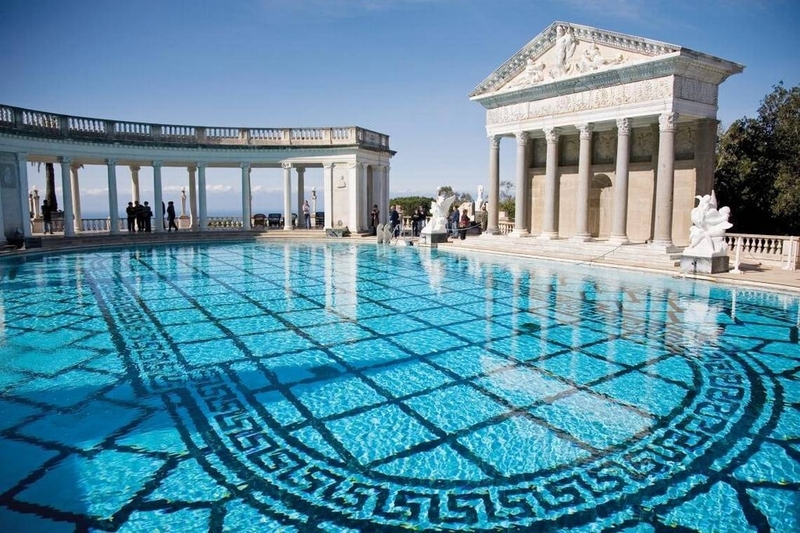 San Simeon’s most popular destination, the castle was once an outdoorsy ranch that the famous Hearst family used on their camping trips, until San-Francisco architect Julia Morgan transformed it into an estate with 165 rooms and 127 acres of walkways, pools, gardens, and rooftops. Today, the castle is open for daily tour each morning, and for seasonal evening tours that offers a splendid starlit view of the castle. If you’ve always loved looking out into the ocean from the quiet of a lighthouse, then the Piedras Blancas light station is a must-see. Originally built to tower up to an impressive height of 100 feet, the lighthouse is now 70 feet tall, having suffered damage in an earthquake, but it’s still a majestic sight on this majestic coast. Tours to the light station are available all through the year, and they begin at the Piedras Blancas Motel, located around 1.5 miles north of the lighthouse. 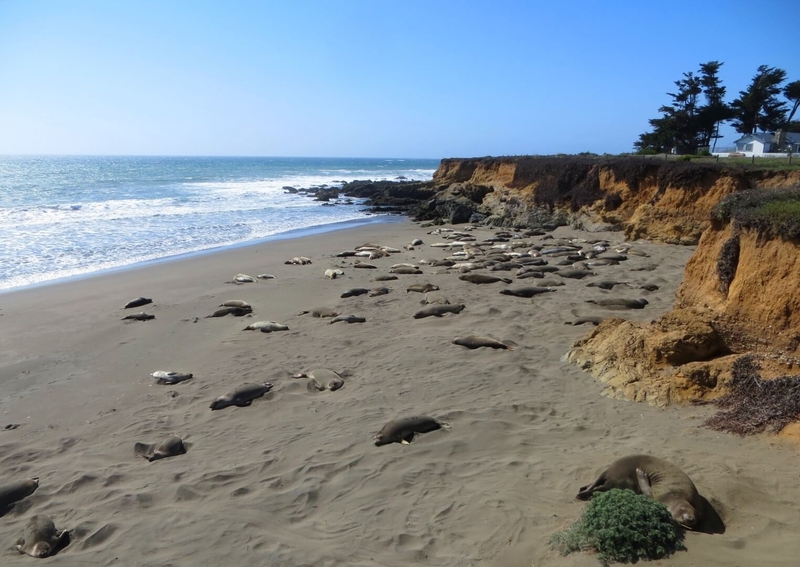 No visit to San Simeon is complete without visiting the Piedras Blancas rookery, which is home to thousands of elephant seals in their natural habitat. It began back in 1990, when around two dozen seals were discovered in a tiny cove near the Piedras Blancas light station. That number grew with each passing year, with increasingly more elephant seals migrating to San Simeon’s sandy beaches twice each year. You can visit them at the Piedras Blancas Elephant Seal Rookery. And the best part is you can choose to visit them any time of the year (although January, April, and October are ideal). Oh yes, there’s more than one. If you’re looking for something fun like fishing on a 1000-foot wide pier, swimming, surfing, or hiking along sandy shores, head to the William Hearst Memorial State Beach, which is located across the highway from Hearst Castle. If it’s something quieter you seek, Jade Cove is the place to go, with its breathtakingly beautiful waters and sands that hide pieces of emerald green jade. 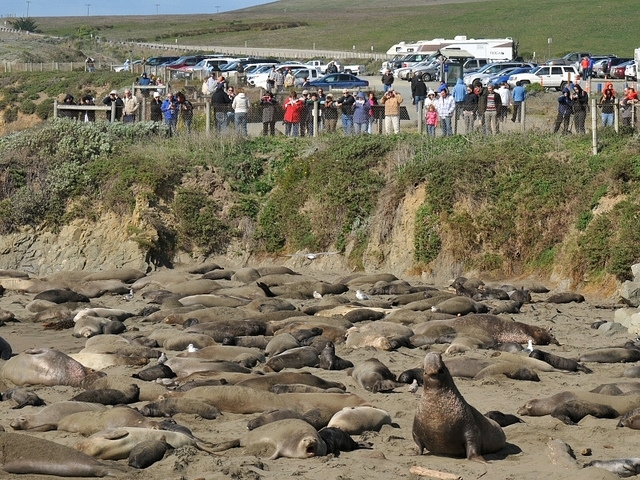 And for wildlife, don’t forget Piedras Blancas beach and its colony of elephant seals! 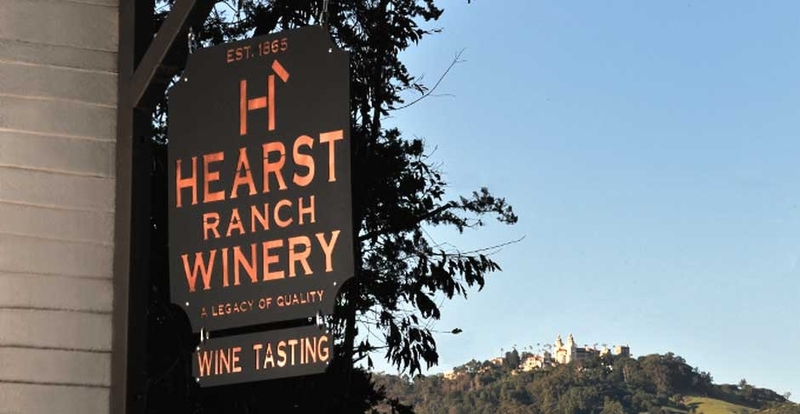 If you’re a wine-lover, head to the Hearst Ranch Winery after you’ve seen the castle. Located in Sebastian’s General Store (which was built in 1852), the winery is a fine blend of luxury and accessibility. The collection of wines in the Hearst Ranch Winery includes several local and exotic favorites, and covers a range of styles, including Chardonnay, Cabernet Franc, Merlot, Petite Sirah, and Red, White, and Barrel Select Cuvée. There’s a never a boring moment in this small but inviting town, which has something for everyone, right from the adventurer and the wildlife enthusiast to the traveler seeking some peace and quiet.